Today is unusually hot at about 32 degrees. Lovely if you have the sea to look at, less so elsewhere. My view is not of the sea but of the garden border. 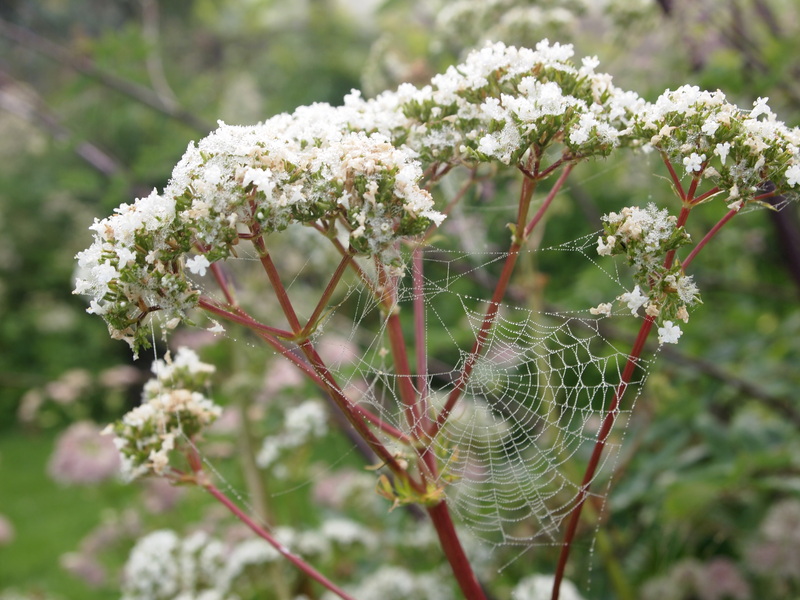 To help cool you down I have decided to share the pictures I took yesterday morning as they are soft and hazy and misty. 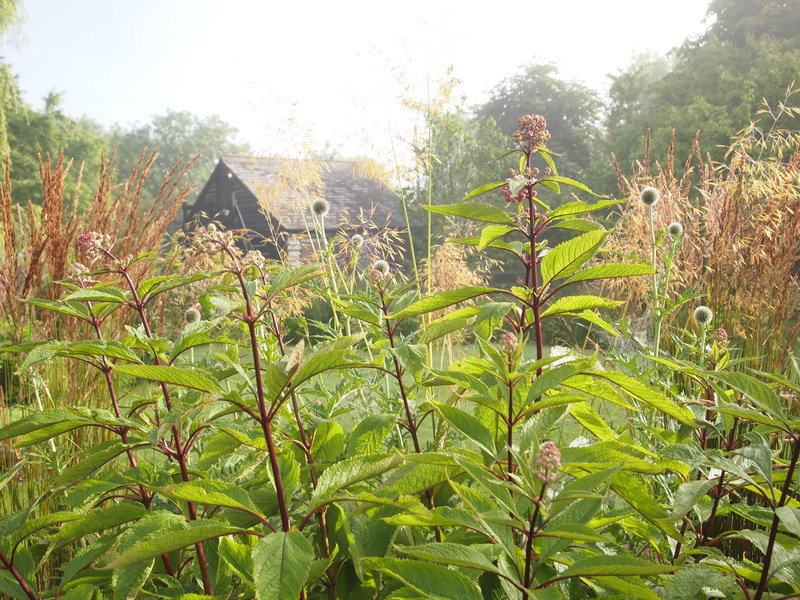 The flower heads are forming on the Eupatorium but I have noticed that the leaves are drooping today in the heat, better give him a can of water later. (Must be a him? joe pie weed). 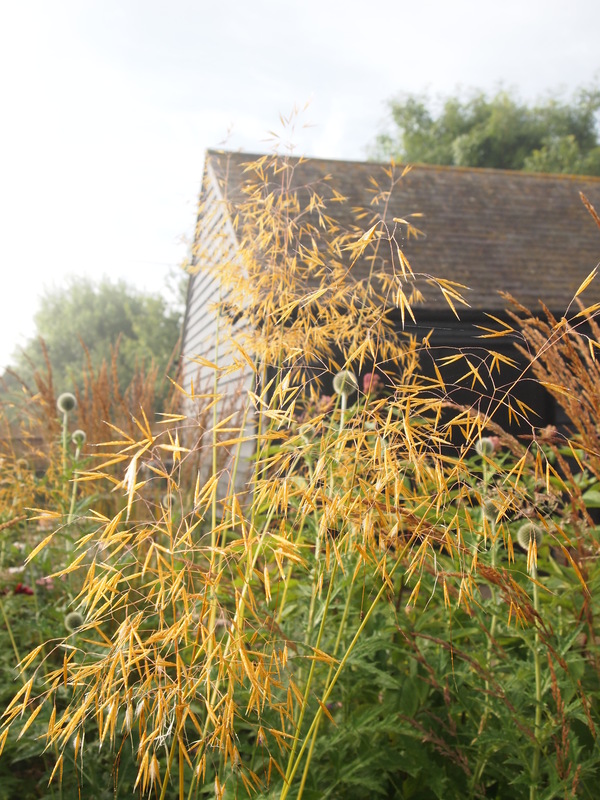 The golden oats of Stipa gigantea are really golden now, such a great plant if space allows. 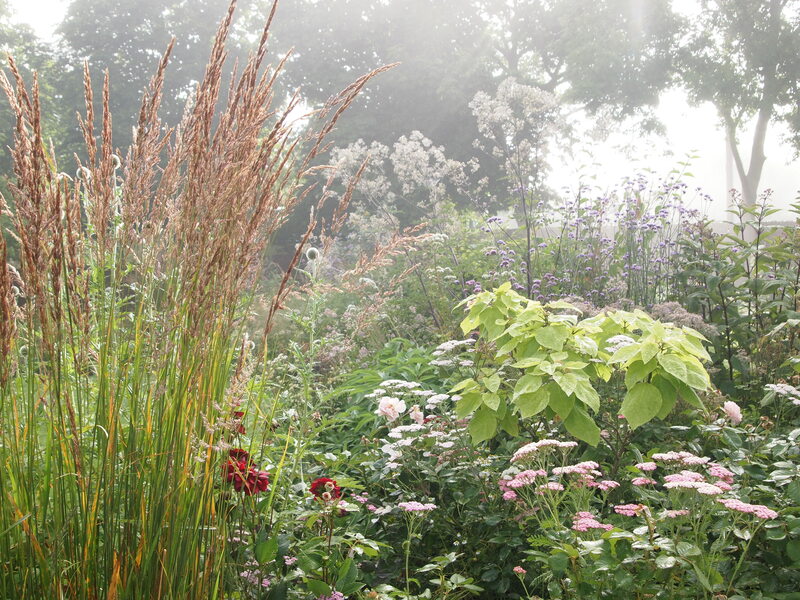 Calamagrostis Karl Foerster is also looking good, upright with burgundy seed heads. I have had to stake a couple of them this year as they took a battering by the high winds a couple of weeks ago. Here we are, mid November, still finding things for the vase as part of Cathy’s meme. 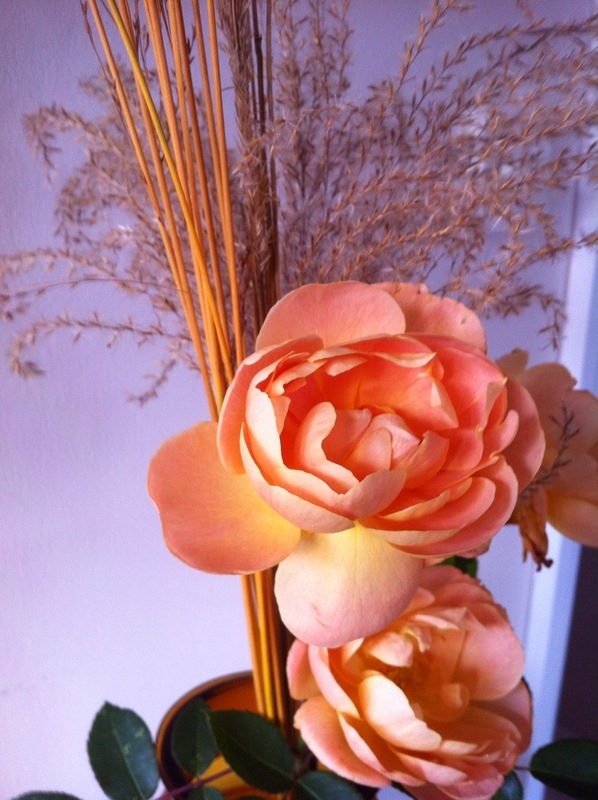 My pickings are getting harder to find yet for mid November, it is extraordinary to have any flowers, let alone roses. 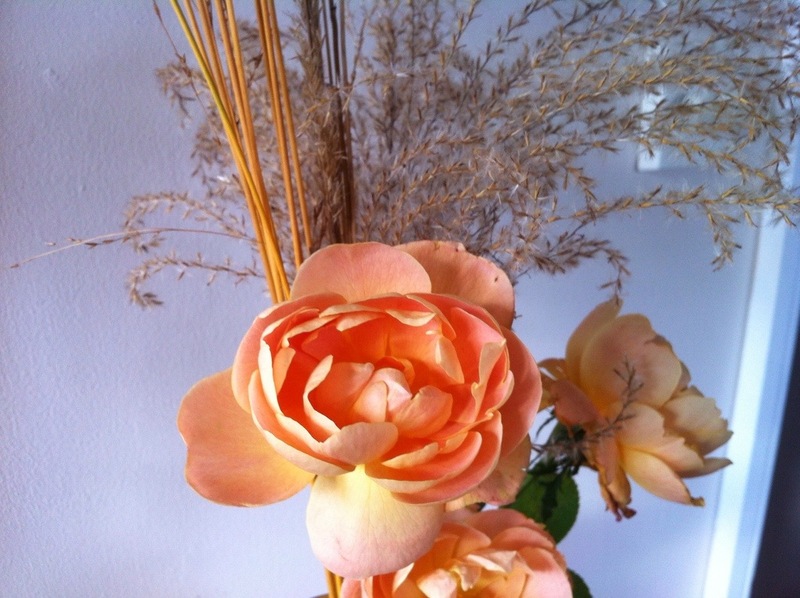 I have picked the much used ‘Lark Ascending” rose with some of the orange toned Molinia ‘Transparent”. The colours work so well together . 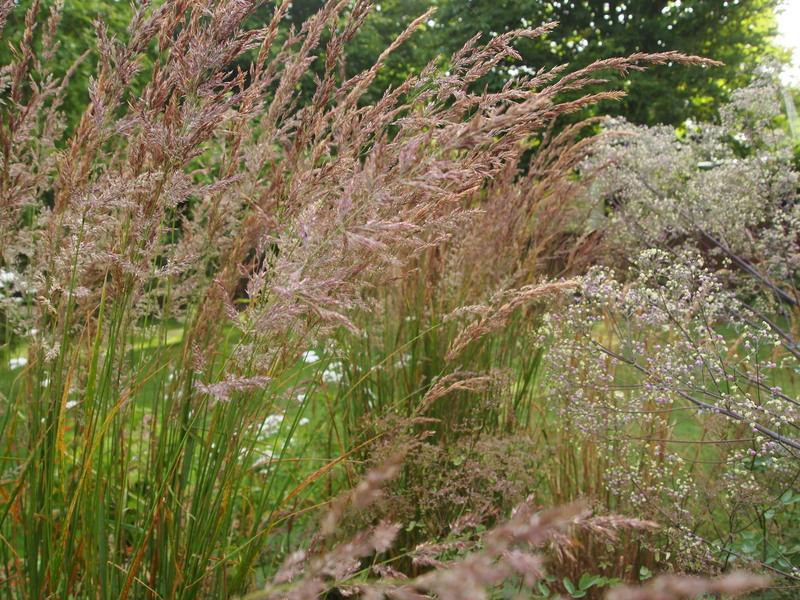 By contrast Calamagrostis xacutiflora Karl Foerster looks bleached and stiff. Miscanthus sinensis malepartus is pleasingly fluffy. The rose has masses of buds but with imminent cold weather (surely) I am not anticipating them having the chance to open. The old enamel labelled bottle is made of orange/brown glass and compliments today’s colours. The earlier contents of the jar,? 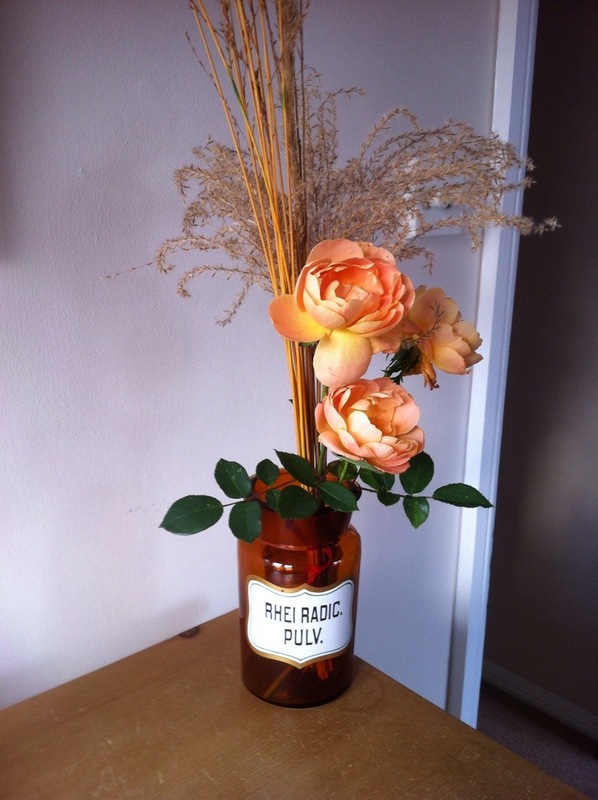 rhei radix pulveratum a herbal remedy for constipation was absent from the jar by the time I was given it. Have a good week and let’s hope it dries up soon.